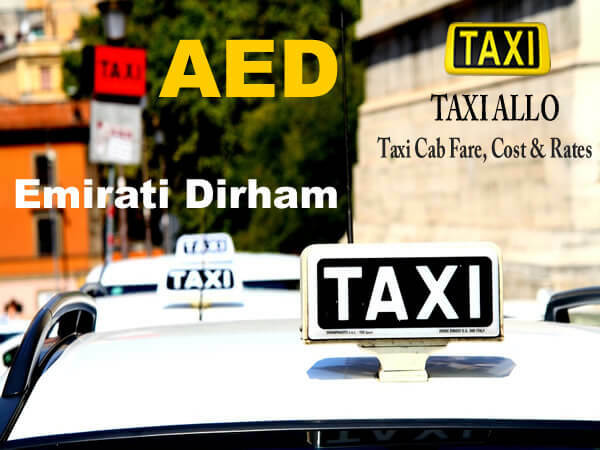 How much does a taxi cab cost in United Arab Emirates? How much does a taxi cab cost in United Arab Emirates ? The price of races of United Arab Emirates taxis is regulated according to the schedule, the kilometers traveled and the time spent. All Estimated Taxi prices of United Arab Emirates does not constitute any price commitment on the part our website Taxi Allo . The price of a taxi ride in United Arab Emirates will always be determined by the price displayed on the horokilometric meter installed in the taxi vehicle that transports you in United Arab Emirates . This estimate does not take into account traffic conditions in United Arab Emirates and unforeseen road conditions, the actual route chosen by the taxi driver, and the approach costs related to the booking in United Arab Emirates. Taxi Allo Calculator is not taxi fake United Arab Emirates calculator , it give you approximate taxi fare in United Arab Emirates .